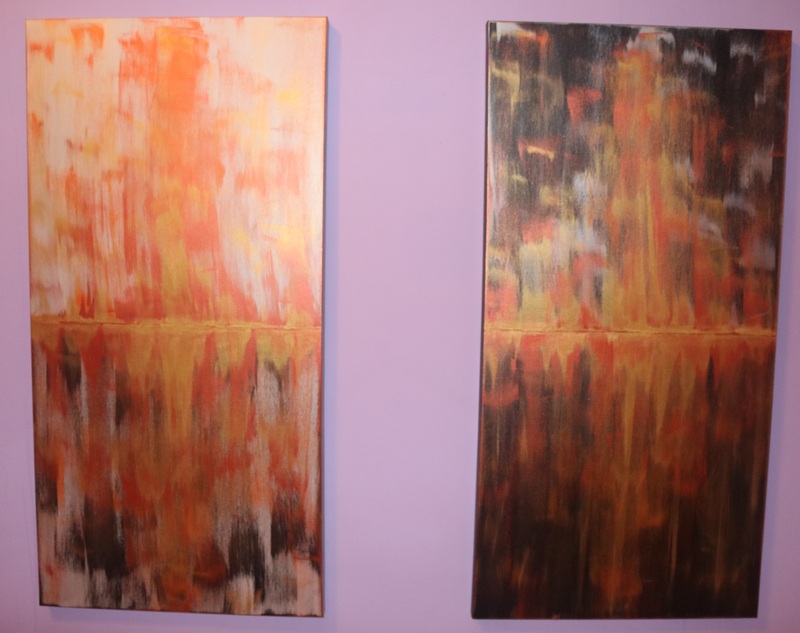 Metallic acrylic on canvas representing the duality of life, nature and light. Should be hung adjacent to or opposite facing each piece. Note pieces are also sold separately and measure 24" wide x 48" high x 1.5" deep each.